A family road trip can be fun or hectic and frustrating depending on how well prepared you were for it. Get your mind in the right angle to be able to appreciate the values and memories that you may make on this trip, irregardless of disagreements or fall-outs along the way. It’s always a good idea to keep the fun going!. Here is a list of some essentials you might want to consider bringing along on your next road trip. Car supplies. Service the car. Check the spare wheel, tool box, jumper cables.etc remember to check your car insurance and carry a tyre inflator. Include a flashlight and superglue for emergencies. FUN FACT: superglue was invented during world war 1 for closing wounds in the battlefield. Maps and travel guides. Know the roads you will be taking and the safest times to travel. Learn about your destination, the culture of the people. Have information which will help you get to where you are going unaided. Packing clothes: Check the weather conditions for your destinations. Pack your clothes accordingly. Light clothes for hot weather and heavy clothing like jackets and closed shoes for cold climates. Don’t forget to pack rain gear and umbrellas. Camera: Have one with you to capture your trip’s highlights that you will cherish in the future. Ensure the memory card has enough space and carry the chargers. 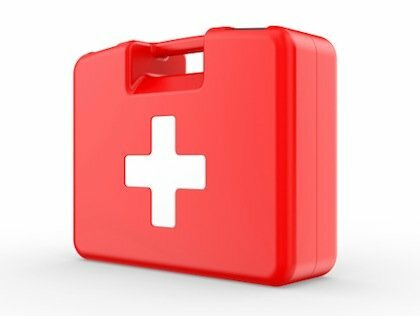 First aid kit: Sometimes little mishaps do happen and its best to have a first aid respondent kit on board. Ensure it has band aids, painkillers, sewing kit, disinfectant, aspirin, and a pair of scissors. Disposable cups, plates and plenty of napkins: Its common for people to enjoy food along the way. Bringing disposable dining wears can reduce smudges and greasy fingerprints on your car seats. Food: Plan for your trip by packing healthy meals and snacks. Have appropriate storage for them to prevent food poisoning. Carry sugar free chewing gum or carrot sticka to give the kids after eating because it cleans teeth. you can use a cooler box to store your food. Water: Road trips can be exhausting. Staying hydrated is important.make sure to carry water and plenty of it. Entertainment: Travelling with kids in a car can be a grueling affair. Pack plenty of materials to keep them distracted while on your journey. Carry a battery pack for your gadgets. Line up some catchy tunes on your car stereo that make good for singalongs. Shovel and polythene bags: A shovel to dig you out of muddy encounters and trash bags to keep car your car tidy. Dispose off trash in designated areas. Gas stations have bins that may come in handy.